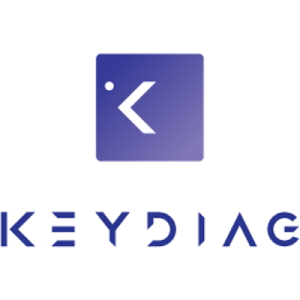 Keydiag is a web platform built by and for MDs. It allows its user community to access illustrated reasoning models, in order to generate structured and detailed reports in just a few clicks. These models guide the user in the diagnostic process, enriched by a direct access to the relevant state of the art, to the most up-to-date classifications, and to specialist societies’ guidance. Users can contribute by customizing models, updating them, creating new ones and sharing. Keydiag offers multiple services : a subscription-based community platform, e-learning, third party integration. It is meant to become a ubiquitous tool for medical diagnosis, and as such will become a marketplace for a future panel of healthcare and e-medicine web services.